Nepalese MP Ms Nabina Lama visited elements of the Brigade of Gurkhas on Monday 26th November 2018. She is in the UK as part of the International Leaders Programme (ILP) run by the Foreign and Commonwealth Office and Ms Lama requested that a day of visits to serving and retired members of the Brigade was arranged to give her the chance to meet and talk to a variety of people from the Nepalese communities who are resident in the UK. 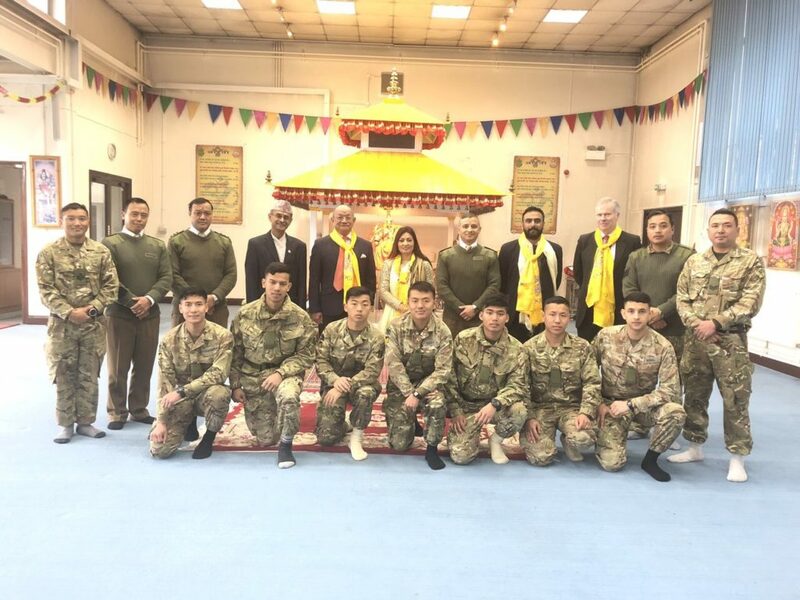 Ms Lama’s day began at the Headquarters Brigade of Gurkhas where she was welcomed in traditional style with a khada by the Chief of Staff, Major Shane Burton, Gurkha Brigade Association Regimental Secretary, Major (Retired) Manikumar Rai MBE, and SO2 Personnel Policy, Major Dammar Shahi. She was given a tour of the Headquarters before receiving a brief on the Brigade, its current construct and lay down and some of the recent activities of the units. Following this the party moved to 10 Queen’s Own Gurkha Logistic Regiment in Aldershot where they were greeted by the Gurkha Major, Major Chakra Khatri and a Regimental Piper before Ms Lama was shown the temple and had a chance to talk to both Punditji and a group of young soldiers about their lives in the UK and the support offered by the MoD and the Brigade to meet their needs. 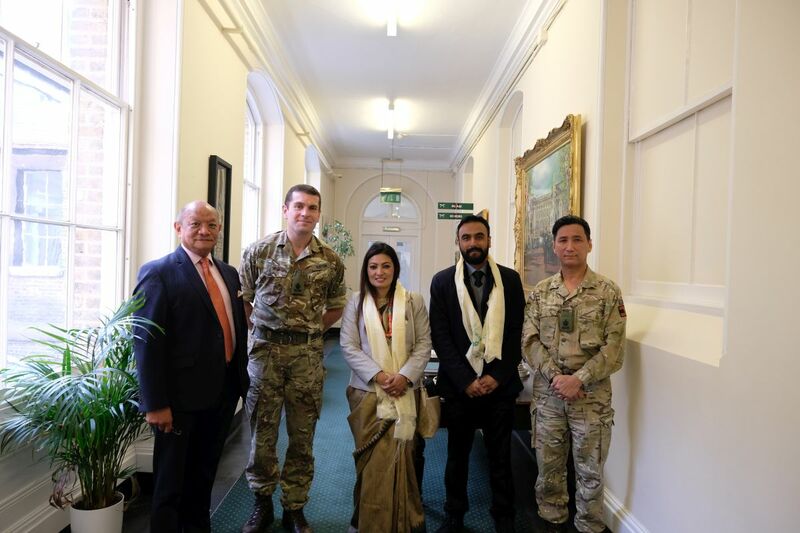 Lunch then followed with the opportunity to hold discussions with senior Gurkha Officers and gain their perspectives. 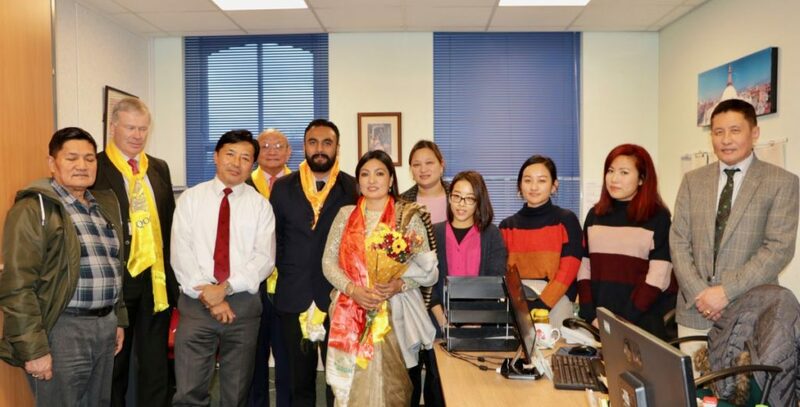 The final stop of the day was the Gurkha Welfare Advice Centre in Aldershot where Captain (Retired) Mahendra Limbu and his team briefed Ms Lama on the services and help offered by this joint funded Ministry of Defence/Gurkha Welfare Trust enterprise specifically for Gurkha veterans and their families and she had the opportunity to also speak to a group of pensioners about their lives since settling in the UK.